As always, we started our session with a creative exercise. 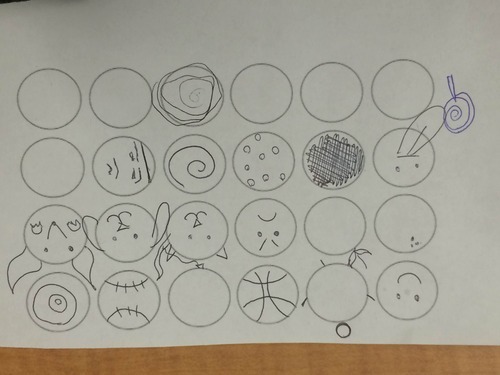 This session, it was Circles, coming up with as many different pictures per circle. Here are a few examples. Empathy is probably the most crucial set-up in design thinking. This reminds us that we are designing for the community, our users, not for ourselves. There are many techniques to empathize with our users and one of the most widely used one is the interview. Next week, after gathering information from their interviews with experts, extreme users and other constituents, teams will come together for the Ideation phase!